Sandburne Vegetarian Guest House overlooks the bustling market town of Keswick from its east side and has a wonderful open aspect towards the Coledale and Whinlatter fells and the slopes of Latrigg and Skiddaw. Quietly positioned, just on the outskirts of Keswick, with extensive gardens, the house is offset from the road, has ample parking and access to numerous walks from the door. Sandburne has probably had many interesting folk pass by its door…..it’s said that Wordsworth walked over from Grasmere to Keswick passing the front door to take tea with Shelley who lived two doors down. More recently it has been the home of Donald Watson who founded the Vegan Society in 1944 and was responsible, together with his wife Dorothy, for the creation of the word ‘vegan’. As a family of vegetarians and vegans, hospitality was an essential element in life. So it seemed the right way forward to open the doors of Sandburne to those who may appreciate both its peace and quiet, and enjoy the fruits of a vegetarian diet for their stay. 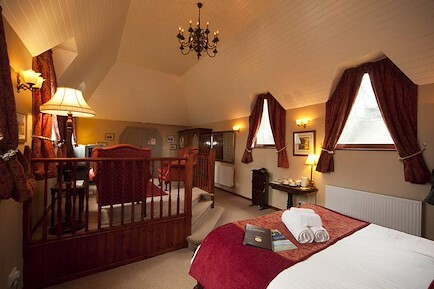 Sandburne Vegetarian Guest House offers two twin rooms with luxury en suite showers. Guests also have the opportunity to enjoy a hot bath following a day on the fells, in the separate guests’ bathroom. The house offers plenty of space in which to relax, both inside and out. The entrance hall with wood-burning stove and first floor landing afford additional sitting areas. The well-appointed breakfast room, with its dual aspect windows overlooking the garden and the fells beyond, provides another comfortable sitting area. Guests may browse a comprehensive library of local interest books, as well as enjoy a range of DVDs; a multi-channelled LCD television completes the picture. Free wifi is available. Your enquiry will be sent directly to Sandburne Vegetarian Guest House. Please fill in as much detail as you can.